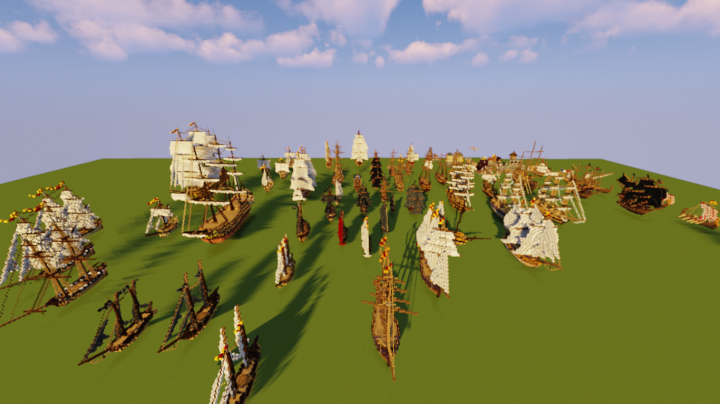 Due to the scale of the ships, it is doable to recreate them in survival. There is always room enough to walk around the inside of the ships but it can be cramped. 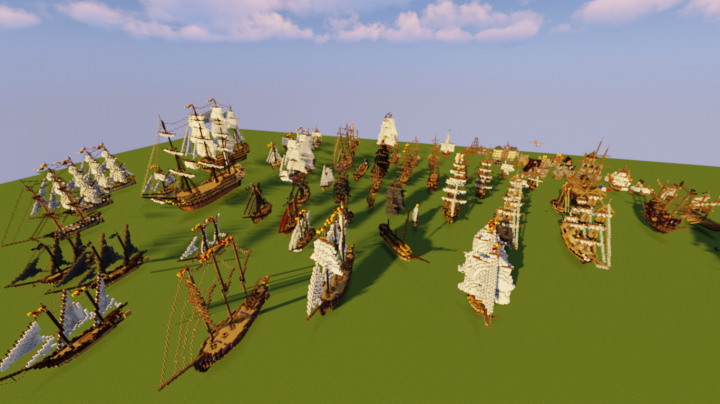 The ships have been made using the vanilla textures. Renders are made with the Chunky program. 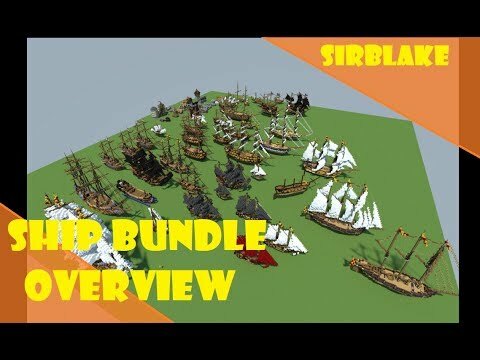 There will be updates for the bundle every so often. The ships do not always come with interior or sails. You are permitted to download the ships and use them as you like. 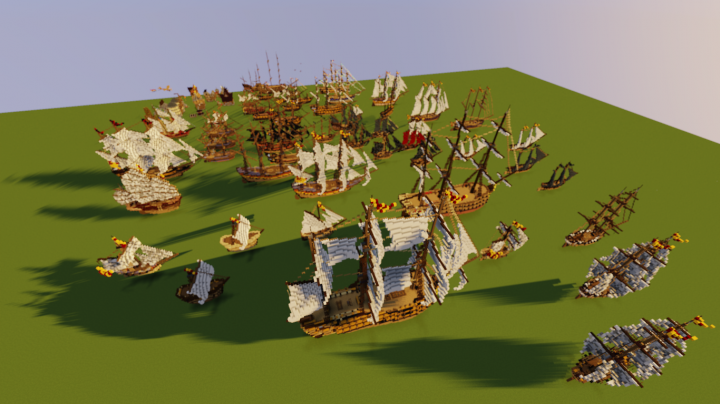 If you use the ships in projects, please give credit. Nice to see you posting again! I've been out of it for some time, but the Minecraft spirit never dies. I tried to download this and it gave me a .rar file. I saw the chinese junk, really good job on this one! 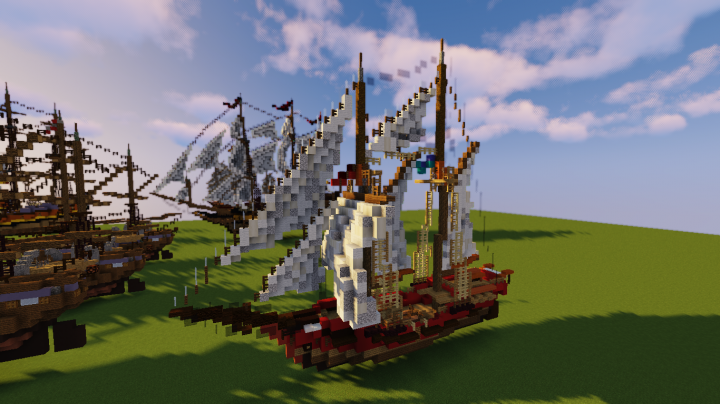 It took me 2 years, but the video of me building the Chinese junk will finally be released. The video is already uploaded and scheduled for the 22nd of March. Niiice! ;) I am subscribing. Nah, no problem. 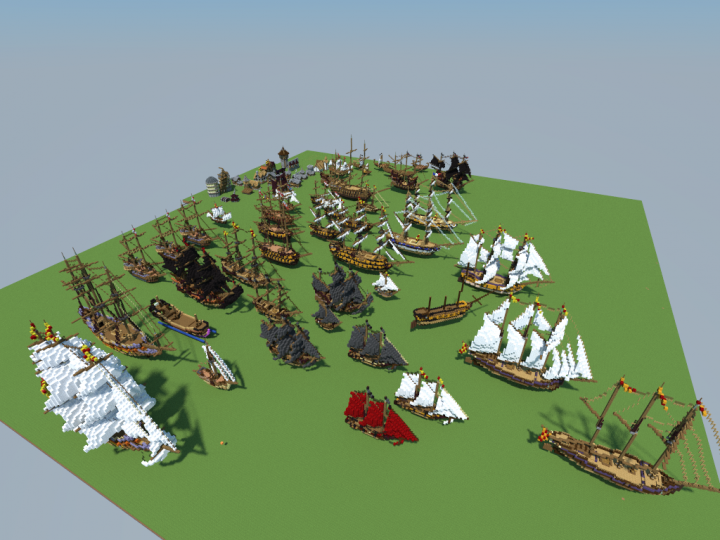 Build a large galleon with more than 80 cannons! That would be nice! Thanks! Challege completed. 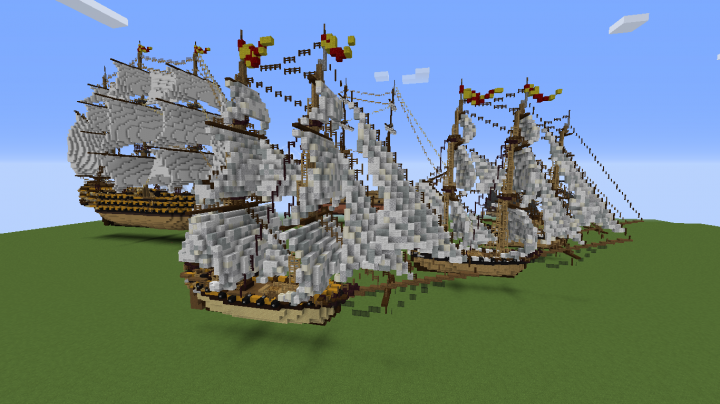 I cheated a bit, I wanted to make a Ship-of-the-Line instead of a galleon. 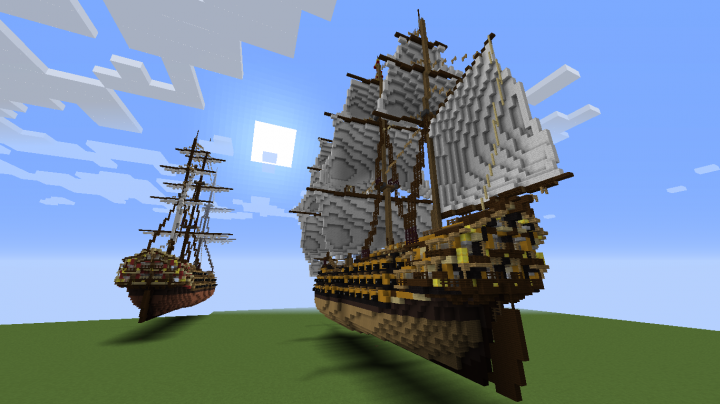 Is this the HMS Victory ? 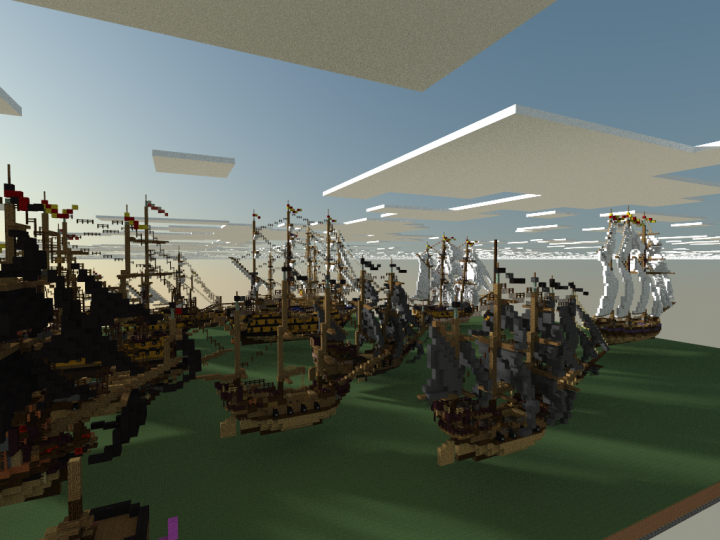 The HMS Victory has 104 canons and 3 full gundecks. This ship has slightly fewer guns and only 2 full gundecks. A new update will come in the near future with new ship. Better screenshots and perhaps a overview video will be added as well. These ships are so well rounded. Great combination of colours and materials. The design is so close to the real life ships. My father used to build scale model ships and I can say these are very well designed. 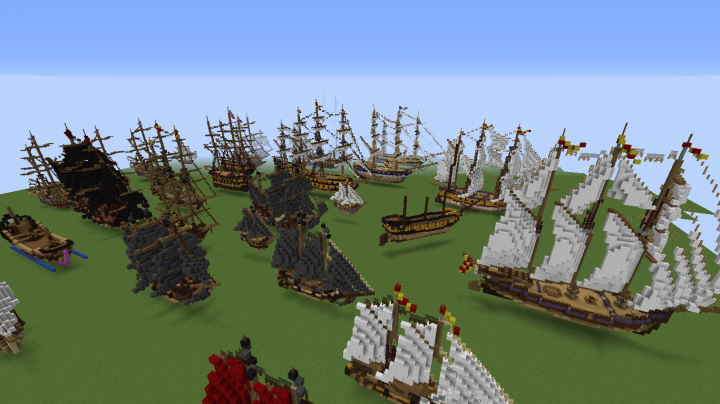 Also the small port in the 6th picture looks so nice and blends in with the default terrain. My grandfather used to design and make his own models too. That is probably where I've come to love sailing vessels. 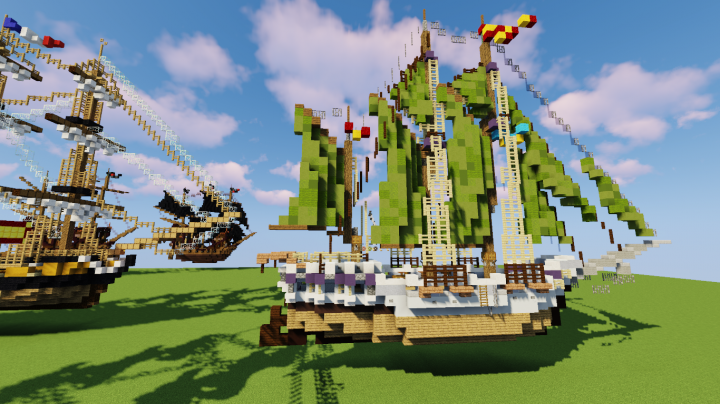 The 6th screenshot has been taken on the VillagerCraft (Dutch) server. It has all been built in survival mode. A new post will come soon for that project. 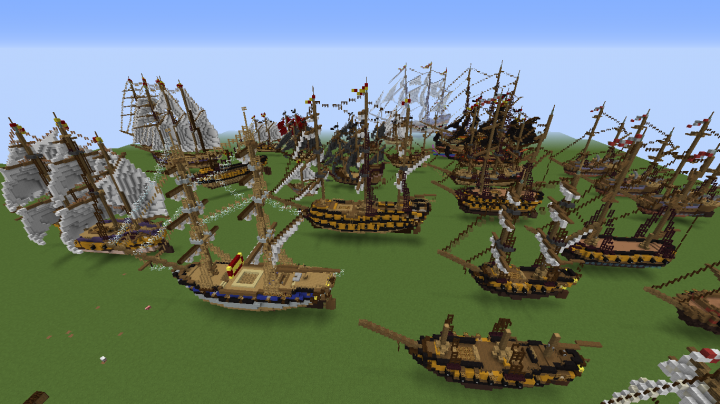 I would love to see a worlddownload with a collection of your ships too ! 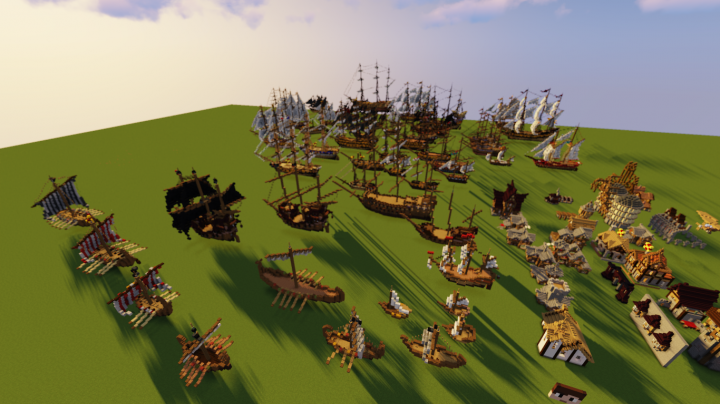 I can only find one worlddowload from you with 5 ships, why not the whole collection? 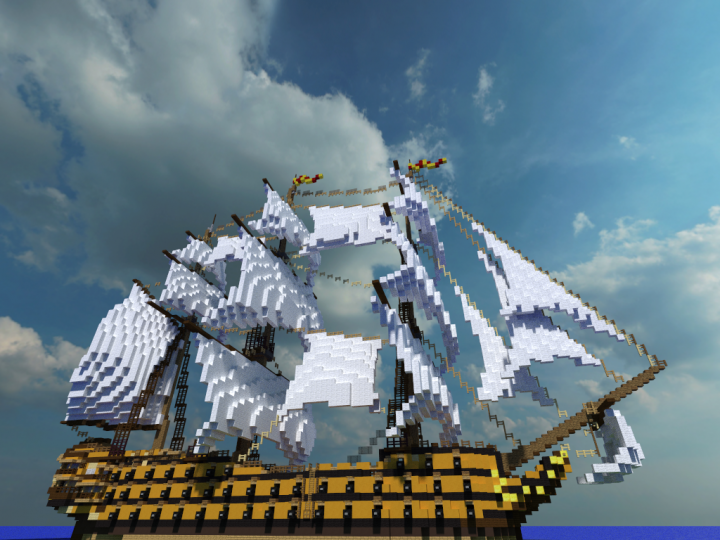 I did visit the ShipSide server and I do recommend it to all people who like ships. Whether that be sailing ships, modern ships of fantasy ones. 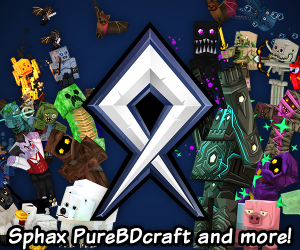 Great server to explore and lots of inspiration ! 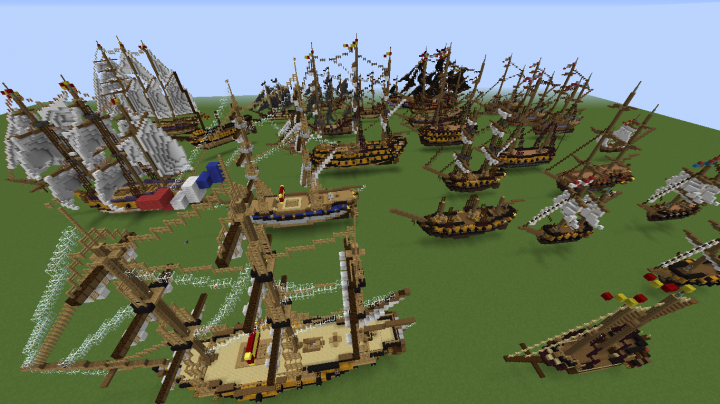 I am a Chinese Minecraft player I think your map is quite wonderful! 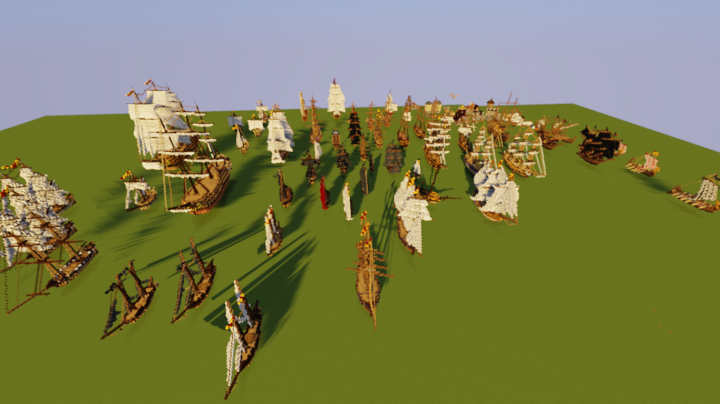 Can I share it to a Chinese Minecraft forum for more players? I will list your name and the original address. Thank you very much. I hope to hear from you soon. Sure you can share it. Just give credit and link to the original.